Good to know about rafting! We leave with inflatable canoes that fit 2-3 people on an 8 km long track on Aries river on the section nearby Vidolm, Buru villages. During the whole trip you will be accompanied by our guides who will give you all the instructions you need and help you along the way. Prior experience is not mandatory, you don’t even need to know how to swim although it doesn’t hurt. Our experience is that even beginners can complete the trip without any difficulty. Any case the fun is a certainty for both beginners and experienced ones. The trip takes about 4 hours so make sure you can fit it in your schedule. The difficulty is easy to medium depending on the water level. 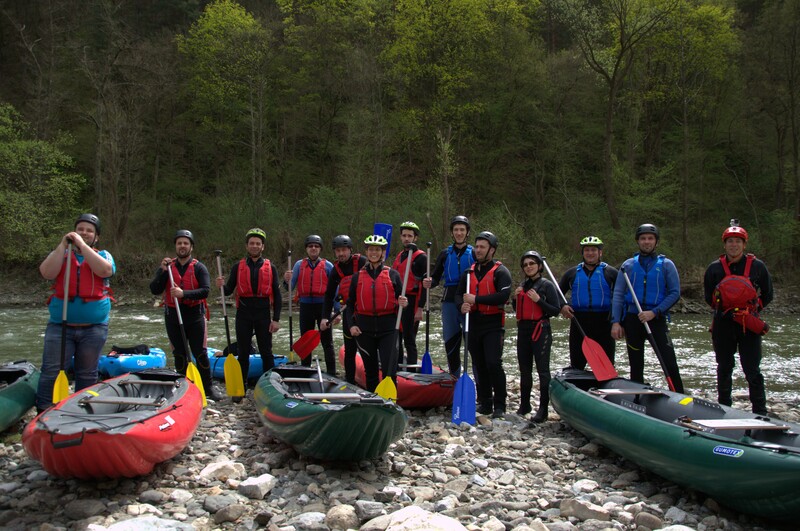 In case of groups up to 8 people we provide transfer from Rimetea to the river and back. All you have to do is get to our base. During the activity our team will make some pictures and videos of your adventure so you can share them with your friends and family. You can take them with you right away on flash drive or we will transfer them by e-mail. We will provide wet-suits, boots, safety-vest, helmet and the full equipment. Basically you just come with your swimsuit and we take care of the rest. Will we be cold? Is the water cold? The wet-suit is designed to keep you warm in the water. In case the suit comes in contact with the water it is immediately absorbed by the neoprene fabric creating a thin layer of water between the suit and your body. Your body warms up this layer of water and keeps you warm even if you spend hours in colder water without feeling much discomfort. So the wet-suit will not keep you dry but you will be ok even during the early spring. Plus you will be working out :). During the summer it even might prove very hot, so you can take it off. It depends first of all on the difficulty level of the river section. On the White Water scale the levels are between I-IV. Arieș is I. to II in the spring when the water level is higher. 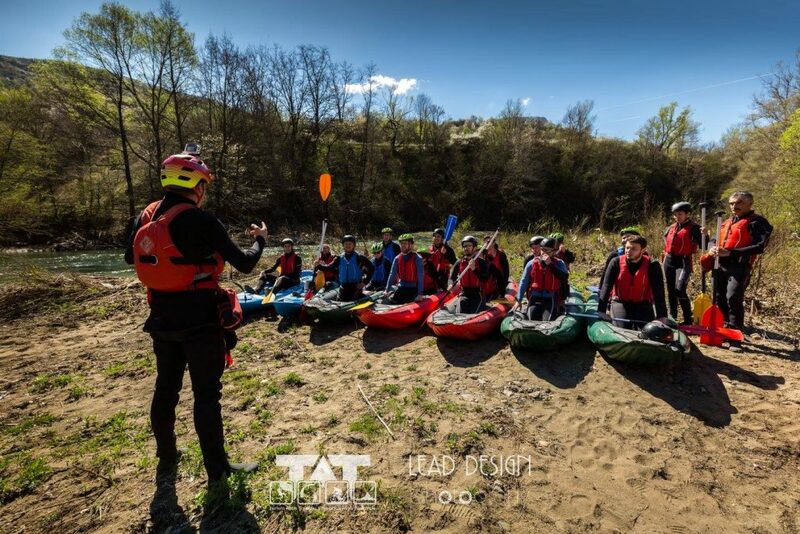 At the beginning you will have a warm-up and basic instruction about the equipment and safety measures and also some practice. Will we fall in the water? The probability of falling in the water depends on your experience, abilities, water level, how well you follow instructions and how you can sync with your rowing partner. At the beginning of the season the water level is higher so the trip is more exciting. After all the snow in the mountains has melted the river is calm and its easier. YOu can choose what suits better your adrenaline need. Tripping over is part of the experience and in most cases is a memorable and fun experience. On our tours children (even young children) can participate accompanied by a parent or a designated adult. Don`t forget to book your trip in advance. If you need transfer from Cluj-Napoca we can help you with that as well.